A Sad Day For The Doctor | Warped Factor - Words in the Key of Geek. Dr. Moo is feeling sad. With actual tears and everything. 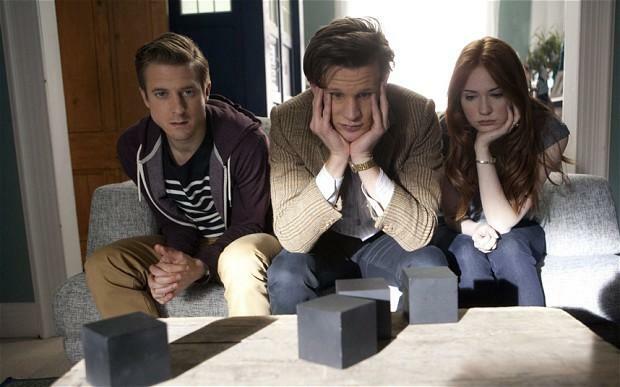 It’s official: the Modern Golden Age of Doctor Who is coming to an end. Steven Moffat is on his way out the door, and stepping into his big shoes is none other than Chris Chibnall, of Broadchurch fame. You’ve heard of Broadchurch, right? 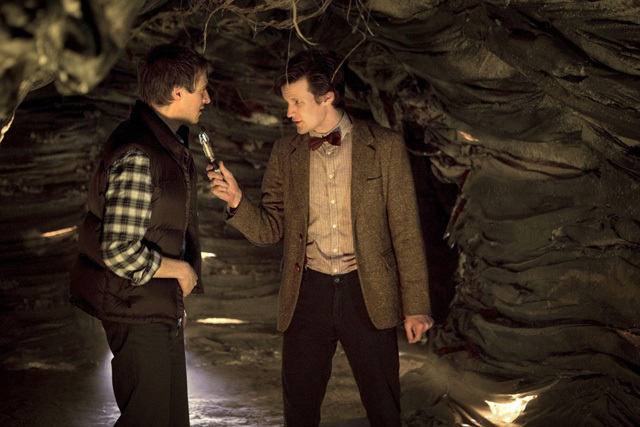 It started well with series one being a fantastic run of episodes but then it came back for series two… and the result was something of a trainwreck. It takes a serious lack of talent to make the likes of David Tennant, Olivia Colman, Arthur Darvill, Meera Syal, Eve Myles, Jodie Whittaker and the rest and make them look like bad actors, especially when we know they’re all good. Talk about taking two steps back. I mean, we are about to go from the man who took a show everyone expected to end but ended up making it better, to the man whose own show went from being one of the best things on TV to one of the worst. Moffat’s era as showrunner has undeniably been a Modern Golden Age, up there with the mid-seventies and the Hinchcliffe/Holmes era. His storylines have been told over long periods of time and unfolded, generally speaking, in ways we could never have predicted. The way the entire Matt Smith era ties in from first episode to last is nothing short of pure genius, and the way the Peter Capaldi era has been going so far is even better. Let’s not forget Smith & Capaldi themselves only got to be the Doctor because of Moffat’s doing, so we can thank him for that too. And I haven’t even mentioned the masterstroke that was John Hurt and the War Doctor. His episodes as showrunner have been good and his episodes before that were good too. 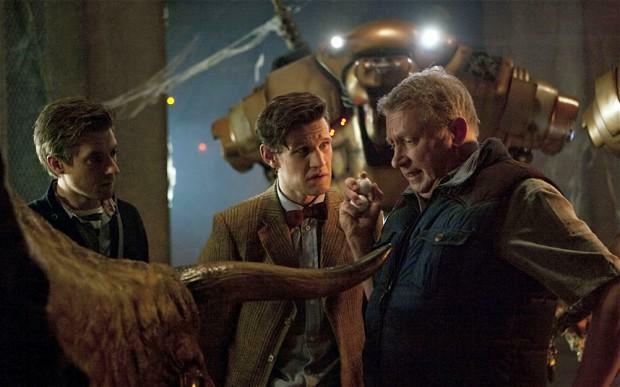 It’s clear for all to see that after the RTD era ended there was only one man for the job and that man was Moffat. 42 was a very dull and forgettable middle-of-the-road affair with a laughable villain and even more laughable real time gimmick. It wasted Martha Jones completely by giving her a pointless subplot, and it’s also home to one of Tennant’s worst ever performances in his entire career. The Hungry Earth/Cold Blood is good for bringing back the Silurians and the twist ending as Rory dies (we weren’t used to that yet! ), but it has little else going for it. It’s very slow and the supporting cast are unlikable – there’s only any conflict because they do one stupid thing after another. It’s a poor story from an otherwise mostly-good season. I will admit that Dinosaurs on a Spaceship is actually pretty good overall, but examine it closely and you’ll see that behind all the fun and the surprisingly dark ending there’s actually not a lot in terms of story and the whole thing is a bit too silly – just think of those robots! To have episodes like it occur more than once every few years is not something we can have as acceptable. The Power of Three is a neat idea badly executed. There’s a good concept with the Slow Invasion but the villain is naff, badly explained and too easily defeated in an extremely rushed ending and badly paced story. Simply put, Chris Chibnall has a very tough act to follow, and going by his track record I’m not feeling optimistic. But it’s not all doom and gloom. One crucial part of the headline is that he’ll be taking over for series 11 in 2018 – there we have it, confirmation that the show WILL continue for at least two more years, and thus it will likely go on longer than that as well. To paraphrase the dying 11th Doctor: Times change and so must Doctor Who, but I will always remember when the showrunner was Moffat. 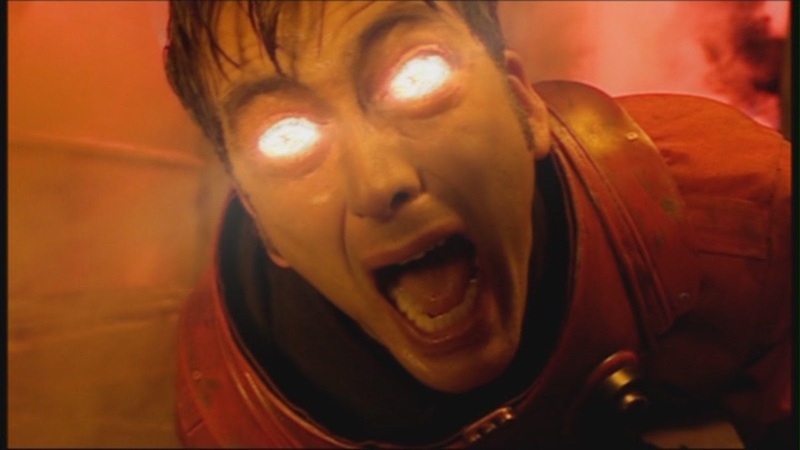 And to paraphrase the 10th: I don’t want Moffat to go! I’d like to conclude with optimism after all the negativity I’ve shared so far. The crucial thing about this show is that it changes. The ability of the show to have a complete overhaul of everyone involved is a key part of how it’s been able to last as long as it has. I don’t just mean the cast but also the writers. 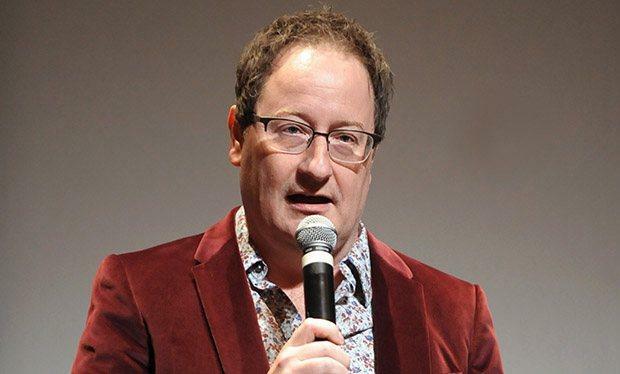 Chibnall is not a writer I rate highly but he’s someone who has experience running a show and writing for Doctor Who, so while I don’t look forward with a lot of excitement to his era as showrunner I still, in a strange self-contradictory way, look forward to seeing what vision he has for its future. 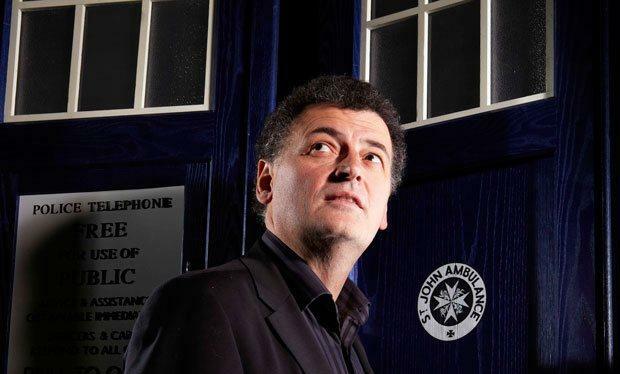 We’re about to enter some dark days without Moffat on board but maybe there’s a hope that something good will come. Maybe, just maybe, Chris Chibnall will surprise me. Not gonna lie though, I’m worried and I’m more than a little bit upset.